Scratch the surface of any synthesizer, and you’ll find the heritage of a few great brands. Buchla has been responsible for some of the most innovative, creative, and sonically spectacular electronic musical equipment ever made, and we’re proud to have such a legendary name in our Modular system. 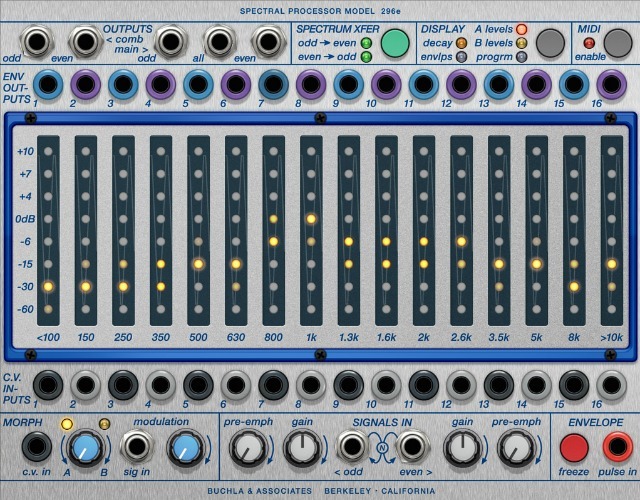 In addition to our previously released 259e Twisted Waveform Generator, users can now take advantage of the myriad spectral processing capabilities of the big friendly filter bank; the new 296e Spectral Processor; the only software version of this module officially licensed by Buchla U.S.A. The 296e is one of the most expensive and exclusive hardware synth modules in the world, and for very good reason. Its complexity, versatility, and sheer quality make it legendary. 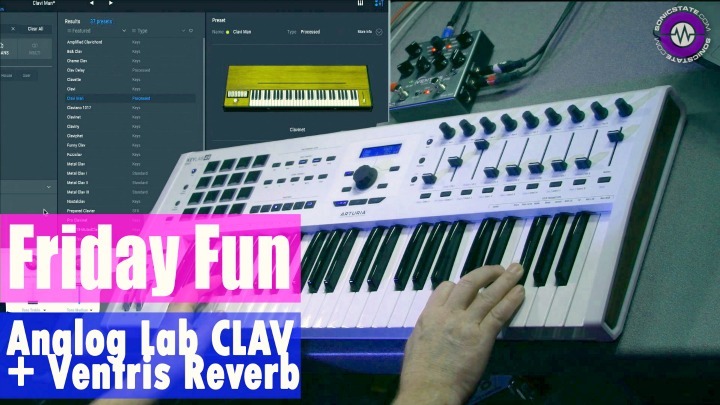 Sculpt any sound with this ultimately programmable 16-band graphic EQ. Morph between two separate modulatable response curves. 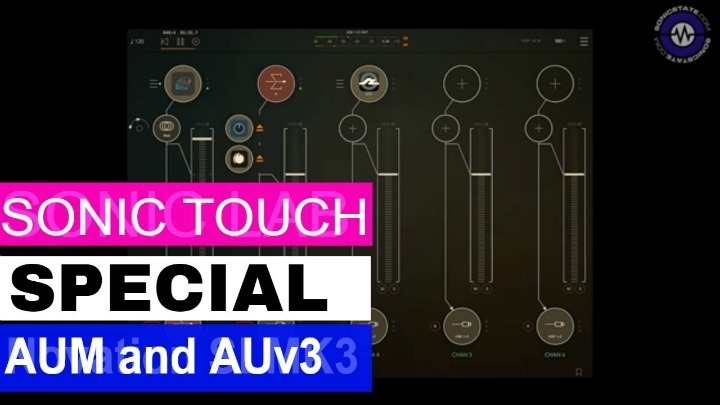 Control the individuallevels of each band through external incoming CV or use the internal spectral transfer(vocoding) to link the envelopes of odd and even bands with their VCAs (and vice versa). Anduse the ‘freeze’ function (as a toggle-button, or externally controlled by CV) to sample and hold these values (envelope times, A levels, or B levels). world-building from mere white noise, or the separation of musical inputs into any elemental collection of individual parts, to be reused and reimagined at will. discrimination curve, with the result that each one sounds meaningfully unique and pleasing. 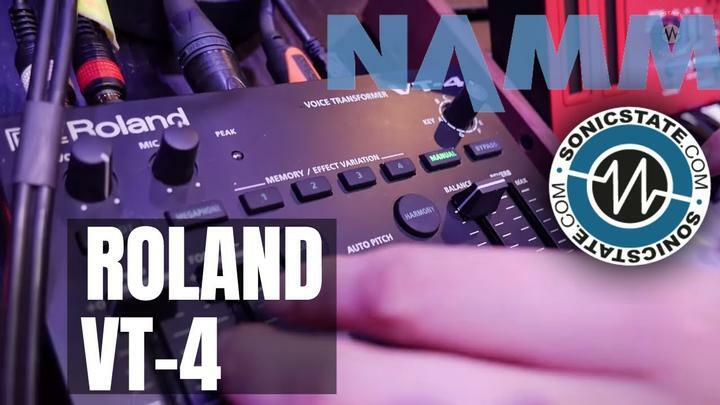 Its capability for intricate transformations allow it to be a real time performance filter, a programmable compound equalizer, and even a spectrum transferring vocoder. 16 band-pass filters are available, each with its own VCA on input, and envelope follower on output. They can be divided into two collections of eight, odd and even. 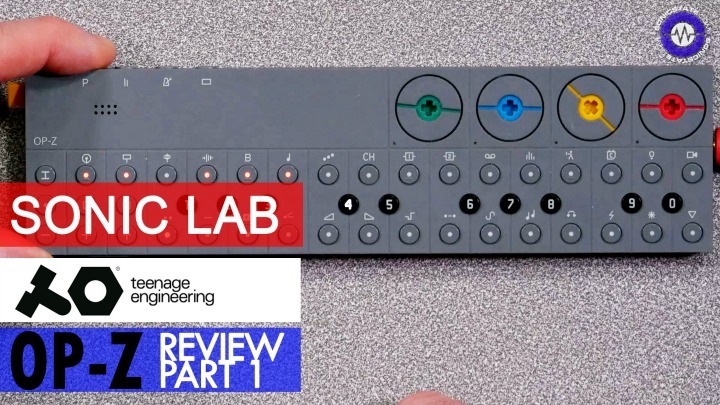 In hardware this function can be used to split the module for use as a limited vocoder, with eight bands performing analysis and eight performing resynthesis. But of course in software the user can affordably run a pair of 296e modules side-by-side, for a full 16-band spectral transfer vocoding experience. The user can adjust envelope decay times, and pre-emphasis may be applied to smooth the frequency response for even more malleable vocoding.